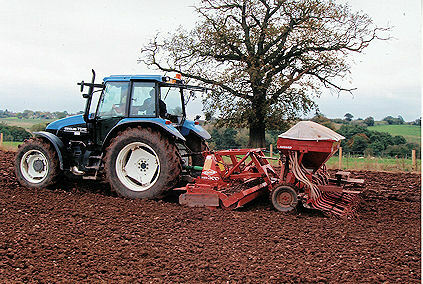 The winter cereals are sown during the first week of October. No artificial fertilisers are applied as these tend to cause the straw to lean and be brittle. The only chemical used, is 1 dose of herbicide spray in the spring to prevent weed growth, which would prolong harvesting and drying. 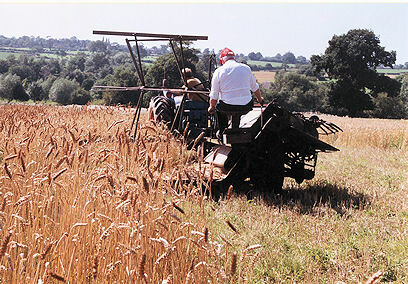 The straw is cut with a vintage reaper binder, which also ties the cut straw into bundles called sheaves. The wheat is cut around 10 to 14 days before it is fully ripe, while there is still a hint of green in the stem, and the ears are erect. This is normally late July depending on the season. 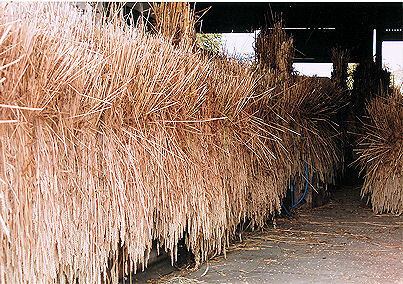 Sheaves are air dried by hanging them upside down ( as you would for dried flowers) in a large shed, and are normally ready for sale mid August onwards.